The Humber Centre has an allotment in Skirlaugh, where the patients go for much valued time away from the unit. Here they learn basic gardening skills, growing lovely fresh vegetables. 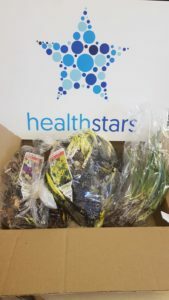 I would like to request the rent is paid by HealthStars for the patients. This is £200 and is due 1st May 2019. 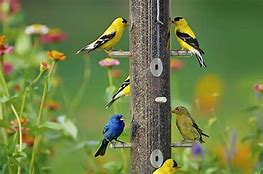 Please may we have some wild bird food for the Macmillan Wolds Unit gardens? the gardens are over looked by the waiting rooms. My friend & colleague Sue Groves died on the 5th of February last year. We would like to plant bulbs in the beds at the front of Skidby House on the first anniversary in remembrance of her; Sue loved flowers and the front of the building would look rather more cheerful than it does now. I would like to request a large tape measure, a spirit level, garden scissors and some fence paint. 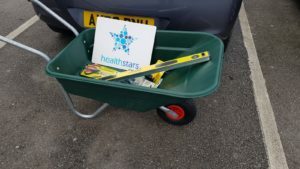 These items will help in the development of the allotment project that we are running at the Driffield CMHT.